Presentation by Mustapha B. Mugisa, at Uganda Law Society (ULS) Continuing Legal Education (CLE) seminar on 2nd October 2013, at Golf Course Hotel. To download my presentation, click here. The growth of mobile money in Uganda, and EA in general is phenomenal. This growth is expected to continue. The success of mobile money is due to its inclusiveness – ability to reach and tap into the rural population. With about 80% of Ugandans said to be living in rural areas, of which 50% own a mobile phones. It is easier to access mobile money services compared to banking services, especially for the village folk. That is why mobile money has experienced phenomenal growth. It enables easy and cost effective transfer of money from urban to rural areas as people in the village are net recipients of mobile money. Unlike microfinance, traditional banks major target market is the middle and high-end segments. Mobile money is a convenient way of reaching the mass market at a low cost. The potential of mobile money to extend financial services to the rural poor is immense. In the same spirit, Cabinet [of Uganda] has approved Agency banking guidelines (The New Vision, 2nd October 2013). This means that mobile money agents like kiosks, shops and street vendors can now provide mobile money services. The mobile money ecosystem is composed of several players – telecoms, banks, regulators, agents and merchants. Telecoms are regulated by Uganda Communications Commission (UCC), through the UCC Act, 2013. Banks are regulated by Bank of Uganda (BOU) through the Financial Institutions Act, 2004. FIA does not mandate BOU to regulate non-financial institutions like telecoms. Although the UCC Act 2013, provides for the regulation of ‘mobile value-added services’ these are not clearly defined in the act. To provide mobile money services, telecoms must partner with a bank that is prudentially regulated. All these entities operate within the cyber laws of Uganda, issued by the National Information Technology Authority (NITA) Uganda. The Uganda cyber laws include (i) Computer Misuse Act (2011), (ii) Electronic Transactions Act, 2011 and (iii) Electronic Signatures Act, 2011. These laws provide a regulatory environment for tackling cybercrimes, intellectual property rights, copyrights protection, enabling e-commerce and facilitating trade as well as regulating the use of electronic signatures. At the moment, there is no specific law that regulates mobile money services in Uganda. A law is needed as soon as yesterday as a lot of money is involved. Concern one: Telecoms should not use UCC license to operate mobile money. They are not banks! Telecom response: True we are not financial institutions. As a result we don’t handle money. All our mobile money transactions are done through partner banks. Compliance to FIA 2004 is done through our partner banks, as they hold escrow accounts where money is received. To send money, our subscriber pays money at any of our agents; who have an agency line linked to our system. The person also signs in a manual book indicating the amount of money sent and their mobile number, and that of the intended recipient. As telecoms, we credit the recipients mobile number with an equitant e-value of the money sent and debit cash account (our escrow bank account held in a partner bank). Once the recipient withdraws the money, we credit cash (our escrow bank account balance is reduced) and debit the recipient’s e-value money on their mobile money number. The cash from our agents is directly picked by our security guards and deposited to the mobile money account held in escrow at our partner bank. In simple terms, we provide a platform to enable people to buy e-value or credits on their mobile money which they can use to pay bills or send to loved ones. We facilitate money transfer and payments. We don’t operate financial services. Concern two: Telecoms are in a gaming/ lottery business, yet they lack gaming/ lottery licenses! For not being licensed, government is losing money. Telecom response: That is not true. We don’t run the promotions; we provide a platform to the content providers with a short code. There are companies that provide mobile value added services by leveraging on the telecom infrastructure. These are registered companies. They apply to UCC for short codes to provide capabilities for application programming interface (API) to link their systems to those of telecom companies so as to provide services on their infrastructure. Some of the common mobile value added services provided by such companies are bulk messaging and promotional lotteries. As content or mobile value added service providers, some of those companies already pay about 40% of their revenue from promotions/ lottery to Ministry of Finance and are duly registered. These companies are separate legal entities and operate independent of telecoms. Promotions done over our infrastructure by such companies is not by us. We often organize competitions NOT gambling. Here we invite our subscribers to compete for prizes, as a reward for royalty. Also note that, there is no loss of revenue to government whatsoever. Uganda Revenue Authority (URA) and UCC already have access to our records to audit our revenues. We are transparent. We are accountable to URA for taxation purposes and they are mandated to visit and review all our books of accounts, just as UCC has the same mandate. We have no issues with any of these regulators which is a sign of confidence! Also, renewal of our annual licenses is a sign of approval by the regulator (UCC), who acts on behalf of Government. It may interest you to note that Gaming & Pool Betting (Control & Taxation Act, 1968) is specified under Ministry of Finance and the National Lotteries Act, 1967 (not specified under any Ministry). Our regulator is under the Ministry of ICT, and we could say the National Lotteries Act, 1967 falls under either Ministry of ICT or Ministry of Finance. If it is the former, we are compliant given that our licenses are always renewed. If it is the latter, our partners, content providers, already pay part of their revenues from gambling to them. Telecom response: No. Customer’s money is in form of e-value is not recorded as an asset of the telecom company. Other than commission income earned, customer money is a liability in our accounts held in escrow at our partner bank. Customer funds are separate from telecom funds and protected from claims of the telecoms. This fact is clearly stated in the escrow account we operate. Concern four: Telecoms transfer a lot of money and are vulnerable to money launders. Telecom response: We follow strict know your customer (KYC) rules. Our partner banks ensure that we comply, else they terminate the relationship. Even then, agency banking is now allowed. Our agents are required to collect enough information to know the customer prior to transferring money. Our mobile money systems are ‘intelligent’ in the sense that transaction splitting and abnormal transactions are monitored. Even then, we have transaction limits to avoid transferring a lot of money over the system. So, the issue of money laundering is mitigated. Concern five: What about interest on the e-money? What about unclaimed money? March 15, 2011 National Lotteries Authority (NLA) filed a suit asking the court to, among other things, stop Airtel from going ahead with their “Freedom to Dream” promotion. It is worth to note that the regulatory framework in Ghana at the time was different from that of Uganda. In Ghana, there is the National Lotteries Authority (NLA) and Ghana Gaming Commission (GGC). The two have separate acts that establish them. Their mandates are clearly spelt. In Uganda, this is not the case. There is no independent act providing for the establishment of an Authority or Commission to regulate the respective industries. With the proliferation of football betting, casino gaming and now mobile money lotteries and or promotions, these are areas that need a more robust legal framework. Of course the above are critical areas of concern. The following are more critical. 1. Money sent to a wrong #: Is it a wrong number or unintended number? Of course, once the money is received, the number was not wrong. It was only sent to a correct but UNINTENDED mobile money subscriber. This is where a challenge comes. Clearly, the unintended recipient has not played any role in the receipt of the money. Would you call this theft? If yes, under which law? The question is: does receiving money sent to my mobile money number without my knowledge constitute to fraud? (i) Is it ok to lock the recipient’s mobile by the telecom provider? What is legal basis? You cannot lock that person’s mobile number without their permission in circumstances like these. The recipient has not done anything wrong. Any attempt to block the recipient’s mobile money number must be after negotiations with them. (ii) There is no motive on the part of the recipient to consider the transaction as theft. Prosecution may not prove theft as a result. (iii) Senders are warned before they send the money. 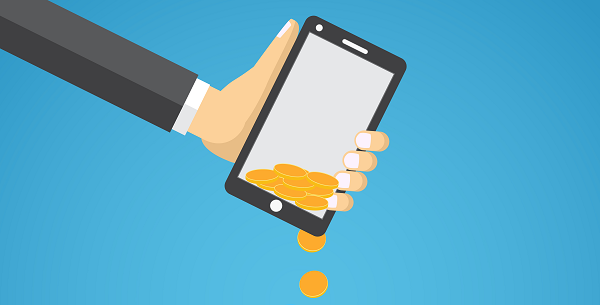 On any mobile platform, a sender is presented with several prompts to cross check and ensure they confirm the accuracy of the details prior to sending the money. So the sender did it willingly. Debate on this issue could go on and on. Keep in mind that this is different from a situation where a bank, credits a customer’s bank account in error. Even then, the bank may not reverse the transaction without first contacting the owner of the account. 2. Who regulates the tariffs? This issue needs clarification. Telecom tariffs, especially mobile money, are not clearly regulated. Is there a legal framework? Does the Communications Act 2013, provide for these tariffs? Who publishes comparative rates different telecoms charge? Who is responsible for customer protection? These issues have no clear answers. For financial institutions, the central bank publishes comparative fees and charges for different services in respect of all regulated banks in the country. The rates are published quarterly in the daily leading newspapers. What happens when customers are charged higher than the communicated fees? How are the customer rights protected where salami techniques are applied on customer transactions? A salami technique is a situation where small amounts are sliced off every transaction and posted to a fraudulent collection account. As transaction volume increases, so does the accumulated amounts. And before you know it, the money is in billions. This fraud succeeds because individual customers are charged small amounts. A case in point is being charged say Ugx. 100 (US $0.04) on every banking transaction – withdraw, deposit or money transfer done. To an average customer, this amount is immaterial if seen on your bank statement. Because the fraudster applies this charge on say 1,000,000 customers or transactions, this brings the fraud over time to Ugx. 100,000,000! The same thing could apply to telecoms where your call minute duration is say 50 instead of the standard 60. So who enjoys the other 10? Cumulatively, this amount is a lot. This loss affects the customer. It is a mandate of the regulators (central bank or UCC) to protect customers from such schemes. As a result, regulators ought to undertake independent assessment or assurance of the security (confidentiality, integrity and availability) of the computer systems and processes of the service providers. The capacity in terms of technology, tools and skills of the regulators to independently assess the telecoms or banks process for security assurance and customer protection is doubtable. a) Telecoms wanted to drive sales through lending capital to agents but internal staff ended up crediting ghostagent lines and stealing money! b) Misuse of access rights to the different platforms where the money is transferred to their lines directly from the back end. c) Collusion between staff with different rights to access the systems account balances. a) Applications have been developed to send SMS to customers that end up as if its from the mobile money platform thus cheating customers, the SMS instructions worth followed there is loss of money because it will be as if your account is credited where as its not true. b) Agents manipulate commissions paid to them e.g. deposit splitting where if one qualifies for commission at deposit of Ugx 5,000, then the agent will get Ugx 100,000 and deposit 5,000 twenty times! There is lack of clarity of the mobile money regulator. For example, bank of Uganda has of late issued instructions directly to telecom companies (in form of letters of no objection). However, BOU has no legal mandate over the operations of telecom companies. There is need for a special law to establish an Authority to regulate mobile money transactions or to empower BOU by expanding the scope of the Financial Institutions Act to cover non-financial institutions so as to regulate mobile money. During the presentation, it was revealed that Bank of Uganda had circulated mobile money guidelines to telecom companies. Unfortunately, BOU has no legal mandate to compel telecom companies to adhere to these guidelines. The option available for BOU is to issue these guidelines to banks that have partnered with telecom companies to provide mobile money. The banks can then issue the same guidelines to telecoms requiring them to comply, else withdraw the relationship. This would work because BOU regulates banks which in turn enter into agreement with telecoms. Without the acceptance of banks to partner with telecoms, the former cannot provide mobile money services. Given the amount of money involved in mobile money, the need for an act of parliament is long overdue. Click here to download my presentation at ULS. http://unctad.org/en/PublicationsLibrary/dtlstict2012d2_en.pdf . This is a well-researched paper on mobile money. It is a good reading as it covers all the legal issues, including technologies, regulatory framework in the region, facts and figures. You will find everything you need to know about mobile money regulation. http://www.ghanabusinessnews.com/2011/05/03/telecom-promotions-games-of-chance-lotto-and-the-laws-of-ghana/. An article on whether telecom promotions are lottery. Copyright 2013. Mustapha Barnabas Mugisa, CFE. All rights reserved. You are free to share with appropriate attribution. Please always include a link to this article on this website.